The world’s best pitmasters are gathering in Chicago for our favorite event of the summer: the Windy City Smokeout, happening July 12-14, 2019. Each year, the fest gets bigger and better (it’s moving to the United Center Parking Lot this year), but one thing remains the same: the world-class barbecue. Festival co-founder and Bub City pitmaster, Doug Psaltis, has once again tapped the who’s who in ‘cue. He’s adding on four exciting new teams – Blue Oak BBQ, Buxton Hall, Hoodoo Brown BBQ and Truth BBQ – in addition to bringing back a heavy-hitting lineup that includes Sam Jones, Louie Mueller, Myron Mixon, 17th Street, Salt Lick and more. To purchase tickets to the 2019 Windy City Smokeout, click here. 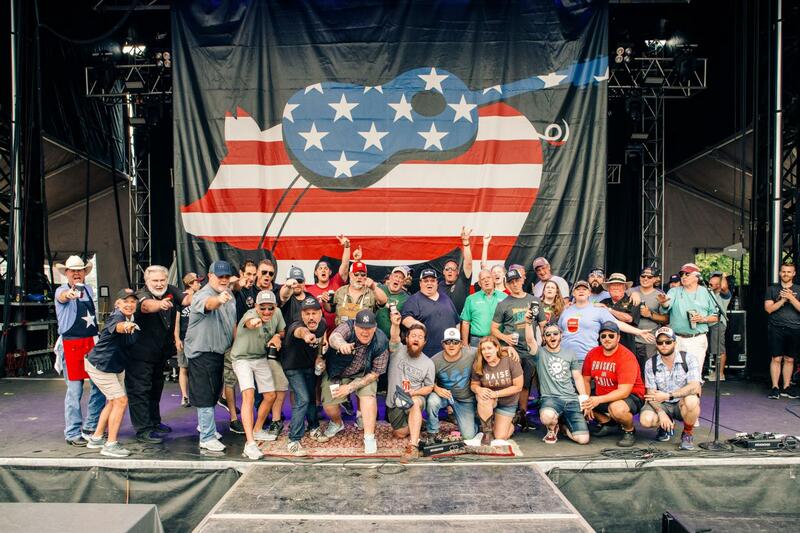 Check out the country music line-up for the 2019 Windy City Smokeout. The crew from Buxton Hall hails from Asheville, North Carolina. Pitmaster (and James Beard nominee) Elliott Moss spent his childhood on his grandparents’s farm in low country, South Carolina eating whole hog barbecue, and to this day the vinegar sauce still flows through his veins. In 2015, he achieved his long held dream of building his own whole hog, all-wood smoked barbecue joint with the opening of Buxton Hall Barbecue, achieving national acclaim from the likes of Bon Appetit and Southern Living. 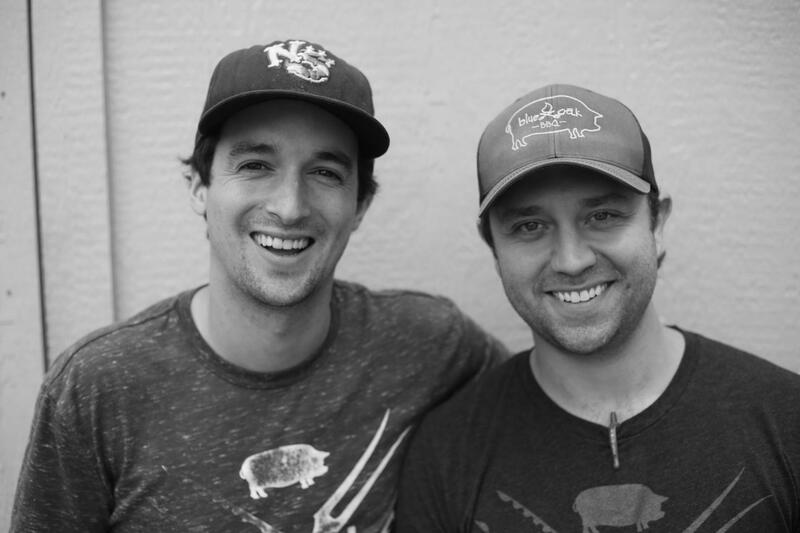 New Orleans natives Ronnie Evans and Philip Moseley set out in 2012 to become NOLA’s foremost purveyors of fine smoked meats and savory sauces. Starting in a small pop-up inside the dive bar Grits in Uptown, the duo soon gained a cult following for their late-night bar fare and barbecue. Two moves and a Hogs for the Cause championship title later, they’ve settled into their own brick-and-mortar location in Mid-City where they serve some of the finest smoked meats, sides, and sandwiches in town. Hoo’s hungry? 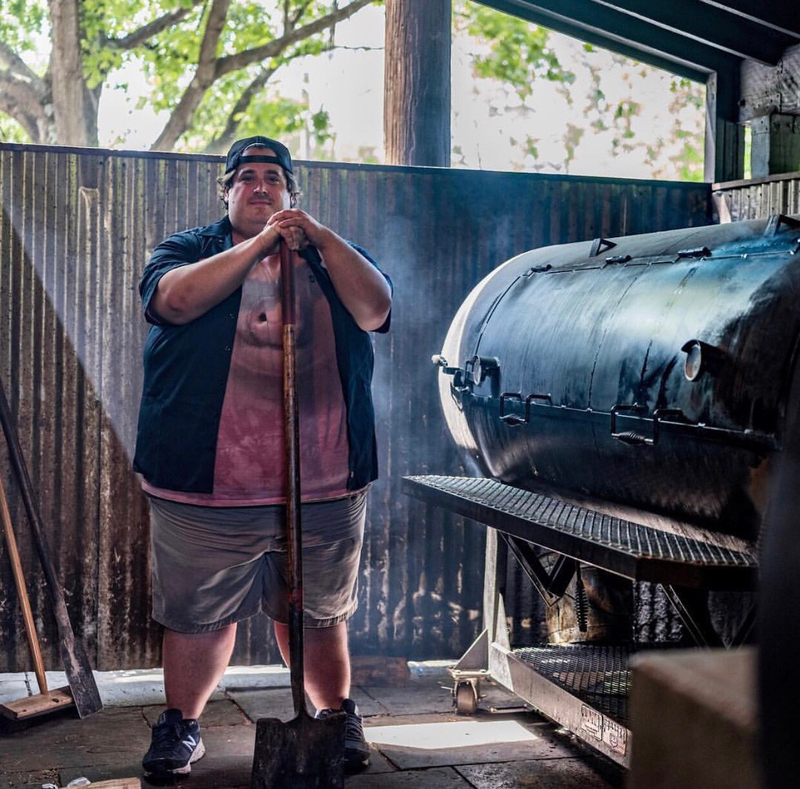 Coming all the way from Ridgefield, Connecticut, pitmaster Cody Sperry was inspired by a guys trip to Austin, Texas after traveling to more than a dozen BBQ joints in the area. Picking up both the passion and many secrets of Texas barbecue, Cody started with a BBQ catering business, only to be encouraged to open Hoodoo Brown BBQ in 2015. 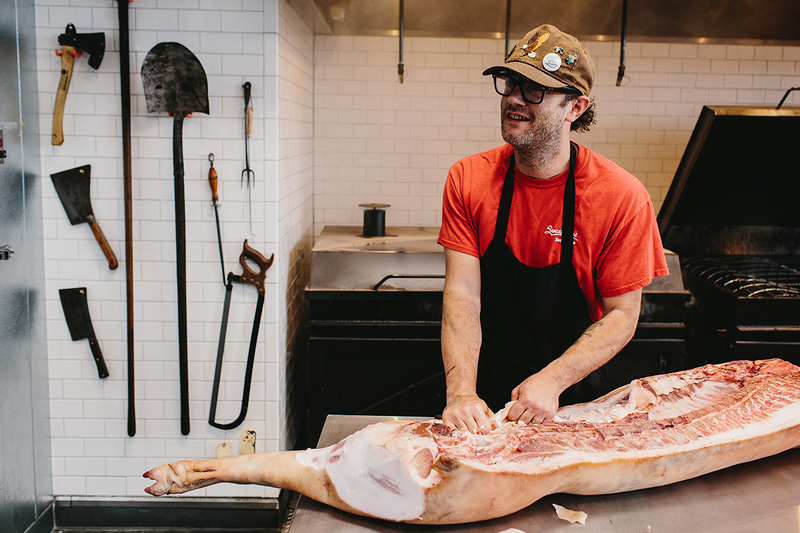 Now he dishes out whole hog and brisket, bringing something new and unique to the northeast. Fun fact: Hoodoo is named after a famous outlaw who was known for his moonshine making and cooking. Leonard Botello IV may be a third-generation restaurateur, but he’s the first to pursue barbecue. 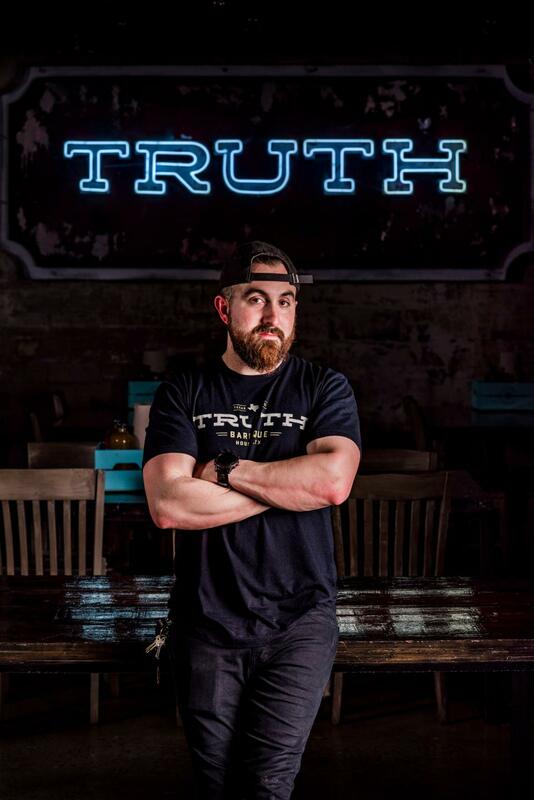 He opened the original Truth BBQ in a small building off a rural highway running between Austin and Houston in 2015. 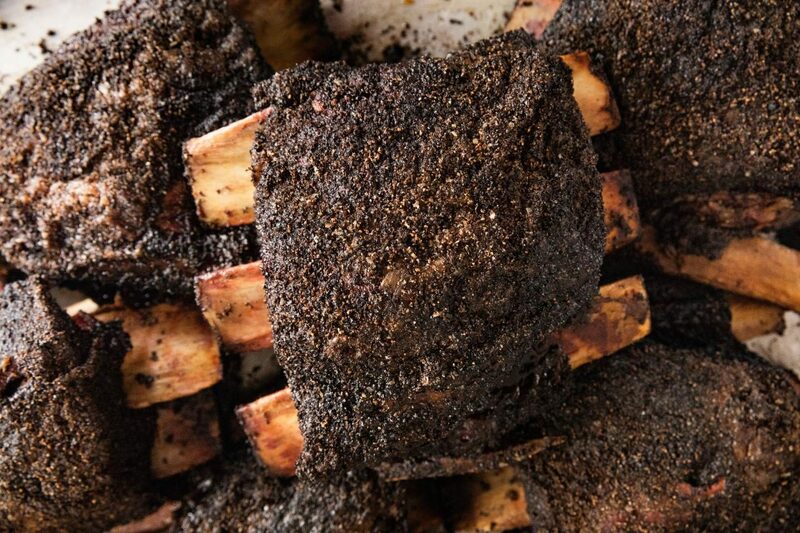 An unknown in the BBQ world, his spot in Brenham, Texas gained critical acclaim after being listed #10 on Texas Monthly’s Top 50 in Texas BBQ. (That’s no small feat!) Fast forward to 2019, and a second location of Truth BBQ is now serving the hungry crowds in Houston. Come hungry! We can’t wait to see you at the 2019 Smokeout!